When it comes to Iranian president Hassan Rouhani is shrewder than those who preceded him, as being a well-practiced schemer, he knows how to play the West. With his thoughts centred solely on regime survival, Rouhani is a close confidante of Iran’s Supreme Leader Ayatollah Ali Khamenei, whose orders he follows diligently. In a well-choreographed program of deception, carefully designed to create a moderate in the eyes of the West, Rouhani has deceived Western leaders for a second time in a deal on Iran’s nuclear program. While President Barack Obama was US president, he had an obsessive fear of taking military action, especially in the Middle East, and through doing his utmost to avoid the issue of attacking Iran over its pursuit of nuclear weapons, he sought a conciliatory course with which to deal with this extremist regime, rather than confront it head on. With Iran having spotted a weakness in Obama, in a bid to convince him that Iran’s nuclear program was for “peaceful purposes”, Khamenei brought onto the diplomatic stage, Hassan Rouhani, a so-called moderate. Convinced the West would be taken in by this amiable, smiling figure, and that Obama could easily be coerced into entering negotiations over its nuclear program, Iran’s leadership placed on the table a one-sided deal that benefitted only them. At a time when Rouhani was making promises about better relations with the outside world, oppression within Iran accelerated, as no sooner had he entered office, there was a sudden surge in executions. Besides thousands of prisoners that have already been hung, the families of many others being held, have been contacted by the Iranian authorities, informed that their loved ones will soon be executed. It is the belief of political groups that oppose the Iranian regime, Rouhani is operating an all-out program to slaughter as many political prisoners as possible, and it has also been noted in the United States Department of State, 2016 Country Reports on Human Rights Practices, how the already dismal state of human rights in Iran, has drastically increased under the “moderate stance” of Hassan Rouhani. Through the election of Rouhani, if any in the West was expecting an era of restraint, they have been in for a massive shock. As far as freedom of speech, arbitrary arrests, executions without any form of fair trial, and all forms of politically motivated killings are concerned, such oppression has vastly increased. Despite Rouhani’s claims of moderation, with his promises of reaching out to the West with a more conciliatory approach over Iran’s nuclear program, there has been no sign of a change within Iran over human rights, and as far as Iran’s intentions toward peace is concerned, its military spending has increased dramatically. Iran has always been adept when it comes to games of manipulation at the negotiation table; once it has sought out weaknesses in leadership, it plays on it. With Obama’s main weakness being his desperation to keep out of foreign conflicts, the Iranians knew that he would never have been confident enough to bomb its nuclear facilities, and that he would go to any lengths to reach a deal over Iran’s nuclear program, rather than resort to the shock and awe President George W. Bush loosed upon Iraq’s President Saddam Hussein. 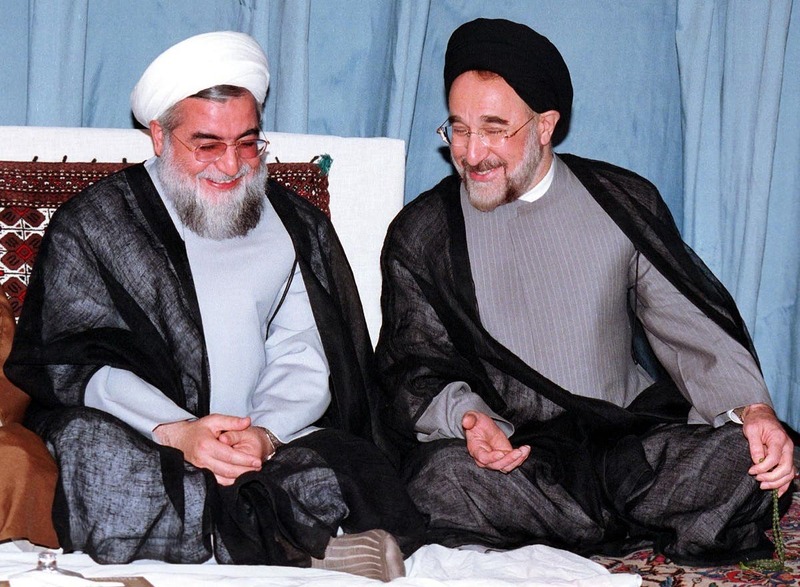 Rouhani first came to prominence in the 1960s, as a follower of Ayatollah Ruhollah Khomeini, who was at the time the outspoken leader of a Shiite Islamic movement. But with the then leader of Iran, Shah Mohammad Reza Pahlavi, becoming increasingly concerned over the rise of Shiite militants, who were causing much disruption in the country, Rouhani came to the authority’s attention after publicly declaring Khomeini an “imam”, and he was forced to flee the country. Then after the overthrow of the Shah in 1979, Rouhani returned to Iran, and became an integral part of constructing the fledgling Islamic Republic. Rouhani soon became a well-established Iranian politician, whose positions within the government included Secretary and Representative of the Supreme National Security Council, member of the Assembly of Experts, member of the Expediency Discernment Council, President of the Centre for Strategic Research. He also served as a member of the Supreme Defence Council, and a member of Central Council of War Logistics. Many of these posts making him at the least, guilty by association to the slaughter carried out by the regime, including the 1988 massacre of 30,000 dissidents. As far as Rouhani’s true nature is concerned, it was the nuclear negotiations of 2003/2005, which proved him to be a man not to be trusted. During this period, he became the Iranian representative in talks with the West over Iran’s nuclear program, and it was during these talks that he agreed to freeze Iranian enrichment of uranium. Throughout this period, he became known to the West as a very shrewd negotiator, whom they felt was relatively moderate compared to other mullahs in the Iranian administration; but this was a ruse. Rouhani turned out to be an astute deceiver, who with careful prevarication, exploited divisions between Europe and the United States, to keep Iran’s nuclear program on track. During that period, the Americans were wary of Rouhani, warning European negotiators he wasn’t to be trusted. But desperate to bring about a deal with the Iranians, talks continued, and right the way through, Iran’s nuclear program advanced rapidly. Diplomatic progress eventually broke down on August 1, 2005, when Iran notified the IAEA that it would be resuming uranium conversion activities, as Tehran felt that the deal proposed by the EU-3 group (France, Germany and the United Kingdom), was an offer too heavy in demands. Rouhani is certainly no moderate because what moderate would pick as his minister of justice, Mostafa Pourmohammadi, who was dubbed by Human Rights Watch as “minister of murder”. Pourmohammadi was implicated in crimes against humanity, including being involved in the deaths of thousands of political dissidents in 1988. And then there was Mohammad Javad Azari Jahromi, a one-time agent in the Ministry of Intelligence, known for his violent interrogations and methods of torture. There are also Hezbollah’s terrorist activities, which Hassan Rouhani cannot claim exemption from as far as their terror operations are concerned. Rouhani was tainted by the deaths of dozens of people, as during the 1990s, when he was national security advisor to the then President of Iran, Hashemi Rafsanjani, two very devastating terrorist attacks took place, instigated by the Qods Force, both of which he was certain to have known about. With the Iran Deal, the West walked blindly into yet another carefully setup ruse designed by Iran to give it a breathing space with which to push forward its quest to build a nuclear weapon, as well as build up the strength of its armed forces. But still ignoring the lessons of previous deals, with all the warnings of past deceit staring them right in the face, the West continued with this charade. With the West confronted by this “amiable” Iranian leader, who offered to reconcile his country with the West, they were soon taken in by his false affable demeanour. So as far as Khamenei was concerned, Rouhani turned out to be the perfect candidate, not only to offer a fresh round of nuclear negotiations to Western leaders, but also to persuade them to have sanctions against Iran dropped, all for a few paltry offers put forward by Iranian negotiators, in which they offered to curb the country’s nuclear program. 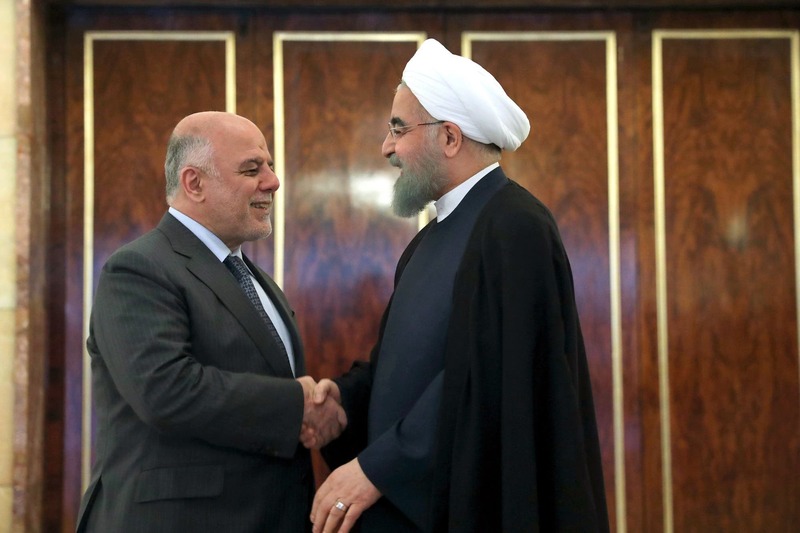 But not only that, Rouhani would also make the perfect candidate to bring into fruition, deals in the oil sector with Western countries, to aid in the rebuilding of Iran’s failing economy. From the very start of negotiations, Rouhani began to seek out large Western corporations to invest in Iran, offering lucrative contracts to various oil companies, in a bid to revive its rundown oil industry, crippled by stringent sanctions. To blind the West of its real intentions, Rouhani knew that an offer of vast amounts of lucrative oil deals to greedy Western corporations, always seals the deal, as it is the big money men who have the final say in moulding the West’s foreign policies.